Library website for MoDOT employees (internal only); includes information on standards, specifications and P.E. exams. 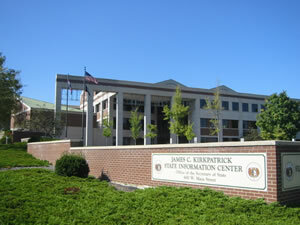 The Missouri State Library Reference Services Division hosts the MoDOT Library collection as part of a joint agreement between the MoDOT and the State Library. The collection contains over 11,500 print, media and digital items. 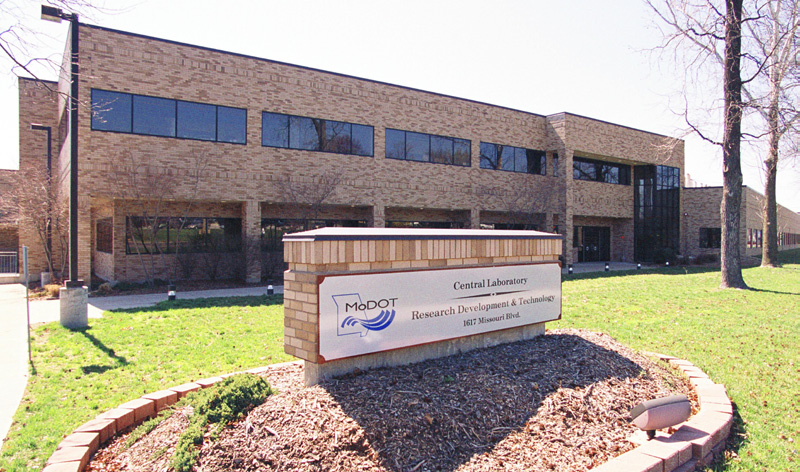 The MoDOT Librarian maintains an office at the MoDOT Central Lab (as a member of the Research Section staff) and at the Missouri State Library. The Innovation Library contains published research reports, studies and newsletters since 1997. You can browse for publications by year or use the full-text search box to find content. See also indexes for MoDOT Reports by Series, MoDOT Reports by Subject and MoDOT Research Newsletters by Series. 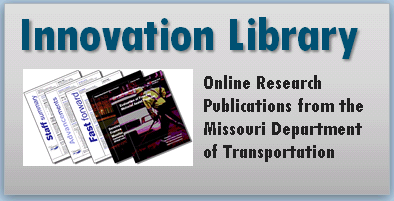 Financial, administrative and general publications published by MoDOT and the Missouri Highways and Transportation Commission (MHTC) are available online in the Missouri State Publications Digital Library. All MoDOT and MHTC reports are tagged with the keyword "MODOT." Internal only database available to MoDOT staff in Sharepoint. ASCE Civil Engineering Database - search for civil engineering articles and papers published in ASCE publications. Check EBSCO Academic Search Premier for the full-text of articles published from mid-1990s to one year ago. Transportation Meta Search - search the websites of the state DOTs, public transit agencies, university transportation centers, LTAP and TTAP centers, and metropolitan planning organizations.